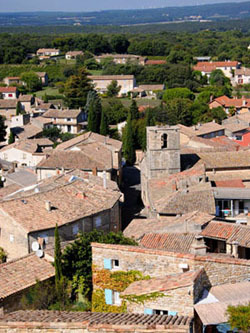 Chamaret is a charming village located close to Grignan, in Drôme provençale. 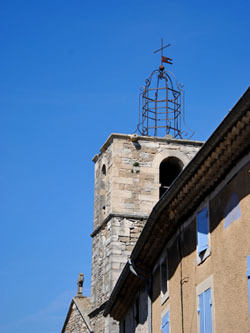 The village is dominated by a belfry which dates back to the 12th century. 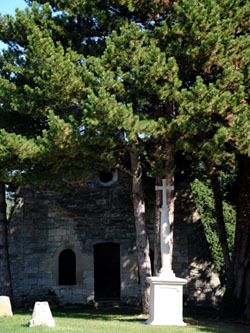 Chamaret hides a number of traces from the medieval times that you will discover along its shady narrow streets. 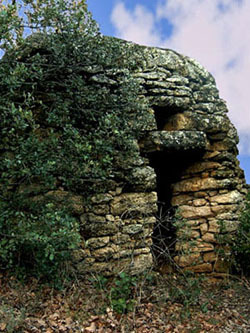 A number of hiking paths around Chamaret will allow you to discover a wild and flourishing nature punctuated by bories, dry stone huts used as shepherds’ shelters in the former times. 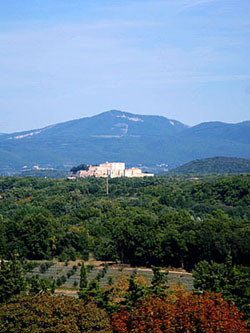 The headland which dominates the village offers a wonderful panorama on the Drôme hills, the Lance, les Baronnies and Mont-Ventoux mountains, the Dentelles de Montmirail, the mountains of Ardèche and on the surrounding villages. The food lovers will be delighted with the local tastes and will be able to take the most of their stay by discovering the numerous surrounding wineries. Every Friday morning, a typical provençal market settles its colourful stalls on the village square. 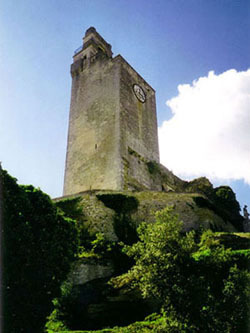 Chamaret is part of touristic route, rich in cultural heritage and history : Montélimar, city of the Adhémar, the castles of Grignan and Suze-la-Rousse, Aiguebelle abbey, Nyons, Vaison-la-Romaine and its remains, Vallon Pont d’Arc or even the Chauvet cave.